This might be one of my favorite cleansing balms this year. It's lighter than the solid balms and washes away easily -- great for those who don't like any kind of residue. 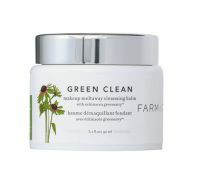 This too was one of my favorite cleansing balms, right after IT Cosmetics. It removes everything and leaves your skin so soft and clean.